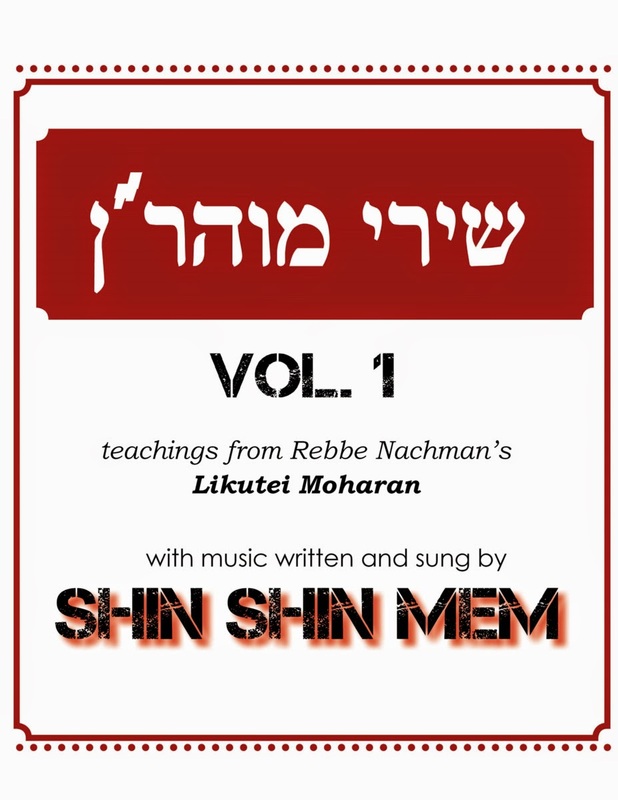 HH -- Tal Menachem --- Na Nach Nachma Nachman MeUman! Rosh Hashana IS Rabbenu, this proves he was born from tears. What is the probability that both Rachel AND Hana became pregnant on Rosh Hashana? Both gave birth to exceptionally holy individuals and both were born from tears. Will the suffering of Am Israel give birth to Rabbi Nachman from Tiberias? 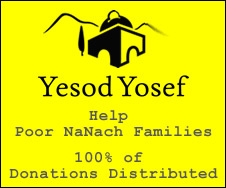 Will he be able to get assistance in Bringing Rabbi Nachman to Zion (Mt. Zion)? If it weren't for the instruction of Rebbeinu, I would sleep with my shoes on. The Campaign for the Geula, final push! I am astonished at the exactitude of your reaction to your brothers' attack on the value of the shekel. Your action is saving Israel already. I want to coordinate activities with you and be part of the success of your invaluable campaign. My village is called Ebay Ha Nachal, this is the name of the first book of the Israeli Presidency, it was made by President Zalman Shazar, President Issak Ben Tzvi, Author Shai Agnon, the title was suggested by Prime Minister Moshe Sharet, the letters were written by Rabbi Odesser. I am signaling to you that these are all the people on the current shekel. Perhaps, you could "recruit" my whole village to back up your project as it is good "advertisement" for them. The reasons I support you are much much deeper than that. Proof is already on the web…two places you can find my work are :Facebook, Bring Rabbi Nachman to Jerusalem; also on the web: Nanach.net; you can see a film of the village on vimeo, just type Blossoms_of_the_spring in Google. Please don’t hesitate to contact me as so much depends on this. Congratulations sir on having received a large budget during these tight money times. Nothing is as beneficial or difficult to achieve as peace, somehow this seems to be in your jurisdiction today. The value of Rabbi Nachman, a Russian, Ukrainian, Jewish, Zionist, fighter for freedom from the "confederate" Kremlin is immeasurable today if he is buried on Mt. Zion, as a tourist attraction and a diplomatic and religious trump card. The operation will be secured by the ministry if they can place the saint on a Virgin Airlines flight before Rosh Hashana. The World Federation for Moroccan Jewry will do the rest. Ki Tavo & Na Nach, clear instructions for today! The difference between Rabbi Nachman of Breslev and Na Nach Nachma Nachman from Uman is that the former went back to the Ukraine to leave his bones for us to take to Israel and the latter finished the job, he is also Rabbi Nachman...true he finished for himself, however, only Am Israel can really finish the job (of keeping their old oath). The Nachman(s) "came" to Israel however (the title Ki Tavo means "because you will come") in Rabbi Nachman of Breslev's case it was similar to Josef, he only came to ensure his future burial and perhaps to keep a promise common to all Jews (after having made four steps he wanted to go back, being obligated to stay he attempted to go to Jerusalem but he was prevented from doing so). The Ki Tavo speaks of the Cohen of that day and the place where his NAME will reside and special instructions about the Bikourim which in Hebrew also means "visits" but no one notices it. Because each visit to a new Jew brings first fruits of Torah and new wisdom and insight. I call this Hafatsa. We have typical blessing and curse situation, related to the opening and closing of a period. Entering the 40 desert years we received the 10 commandments now leaving that period we receive the 10 curses. Entering the Diaspora we take an oath to bring Josef to Israel when G-d remembers us, we didn't exactly keep our covenant our "bris mila" so we are still in the diaspora. What about the promise made to Abraham that we would spend 400 years in Egypt. This covenant was also made "between" parts (like the two mountains or the two tablets) with a clear beginning and end of the period. The focus of this Ki Tavo are 13 curses separated by 10 Amens (like the 10 commandments) marking the closing of the episode of the spies. AMEN folks means Bring Your Life (French/Rashi language) the Loyal King of Truth (Hebrew) uniting the brother of the Torah to the Torah you can put the two statements together and solve the riddle. The 10 laws here are very different from the 10 commandments. They are absolutely relevant to the more "modern" teachings of Rabbi Nachman and give you an idea of what the Cohen of this new place wants to hear, because as rabbi Nachman says wisdom can only be attained by the pure, the offerings given in this place are holy teachings, the fruit of human struggle to come closer to G-d in the land of truth. I hope you were able to absorb this fresh look at Ki Tavo which goes far beyond the current teachings of those who have the misfortune of not understanding anything about Na Nach and the Petek. G-d heard their organized "cry". We want to raise our voice like a shofar and say: Please Rest In Peace Nachman, which can only be on Mt. Zion (Because from Zion the Torah will come and the word of G-d from Jerusalem). You will find the "cry" mentioned in this weeks reading (Ki Tavo) Levite alia. The books of Moses are a dress rehearsal for what has to happen now that the equivalent of Josef, "Rabbi Nachman" is available. This entire Parsha (ki-tetse) is only about war against Amalek. How to destroy him for good. Notice what a man does in the special case of a close brother who dies leaving no children...why is he called a person with a loose shoe? What do shoes and un-wedded sister in laws have in common? You could say that Serach Bat Asher went without her match, but she did bury him while the "brothers" were more concerned about their shoes. This is the only way to defeat Amalek and end all bloodshed, to keep our "Circumcision" marking the beginning of our EXILE. The circumcision offered by Rabbi Nachman will mark the beginning of the Redemption. Therefore the books of Moses are a dress rehearsal, time to understand the lesson and scream: Na Nach Nachma Nachman NOW, THIS WEEK, so that ALL Israel can be united and keep our oath and enter the redemption. Now we can also spit towards someone and take his shoe off instead...this will happen to quite a few people and they will consider "give me liberty or give me death, wishful thinking" so terrible will be the shame in front of the merciful G-d. The circumcision is the oath of the word. Eight because that's the breaking of the Husk or Pach or 88, (the 44 lights of Hanukka). The name of the Head-King: L (noun)x4. Only WE can keep OUR promise.